This entry was posted in Maintenance and tagged advice, basics, DIY, maintenance by Will Grander. Bookmark the permalink. I have red stains on my pavers that came from battery acid from my golf cart. What is the best way to remove those stains. Removing acid stains is tough because the acid reacts directly with the concrete – often people add acid stains to concrete on purpose because of this reaction. Thus, you’ll have to tread carefully here – try using some SureClean (it’s a cleaning product) on the affected area and wash it away with water. Be very careful when using it, because it contains muriatic acid which is a very caustic substance. Always read the directions first, and you should probably experiment on a small area at first, because sometimes the muriatic acid can make the stain worse. The ‘nuclear option’ is to remove the offending pavers and replace them with new ones if you have some old pavers lying around. We just had pavers installed on our patio last week. Now they are covered in white and the color we picked can hardly be seen. What happened and how can we restore the color of the stone? Was it from the grout that the installers used aor possibly was it watered down too early? We are very upset. 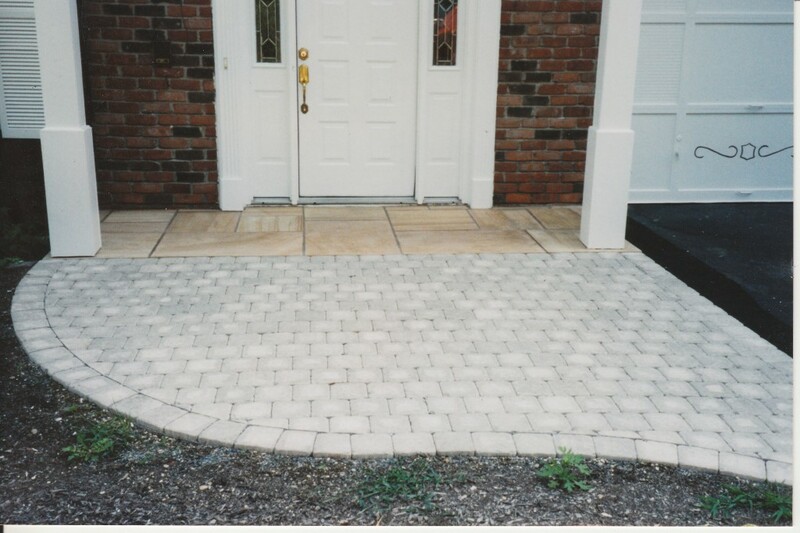 What you’re probably seeing is efflorescence – it’s usually normal in most paver installations and will go away in a little bit, but if they used grout/cement as part of the installation process it could take a bit longer to clear. Wait a little bit and see if it clears up, as it usually will naturally…if it doesn’t clean up in a few weeks by itself then you’ll have to pursue other cleaning options. Perhaps contact the installer if you don’t see improvement soon. I recently repaired some cracks on my blacktop driveway, and before the tar dried, a squirrel walked on it and left tar paw prints on my backyard pavers. My husband used WD-40 to remove the “tar tracks” the squirrel created on the pavers and the following day, I found “oil” residue from the WD-40 on the pavers . How do I remove the stains the WD-40 created? we just had the pavers stone installed in our backyard, it was beautiful but my problem was i painted the patio ceiling with white oil based paint and paint was all over the pavers from drippings. i tried using paint remover and toothbrush and washed it off with garden hose. now it has white marks stains. how do i get rid of these dry paint stains. i need help!!! !